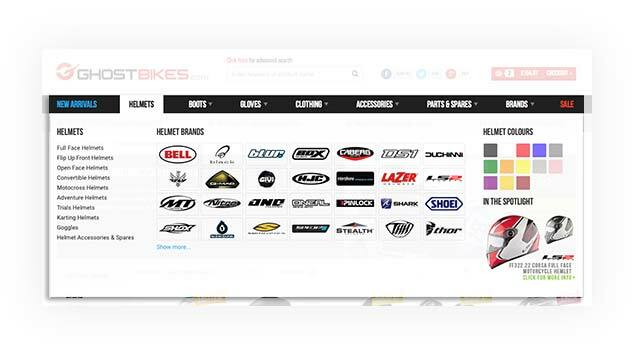 Navigation through our site is made easy through our main category structure, allowing you to find the products that you need. Find anything you need quick and easy. If you know what size, product and brand that you want simply use the advanced search to come up with results even quicker. 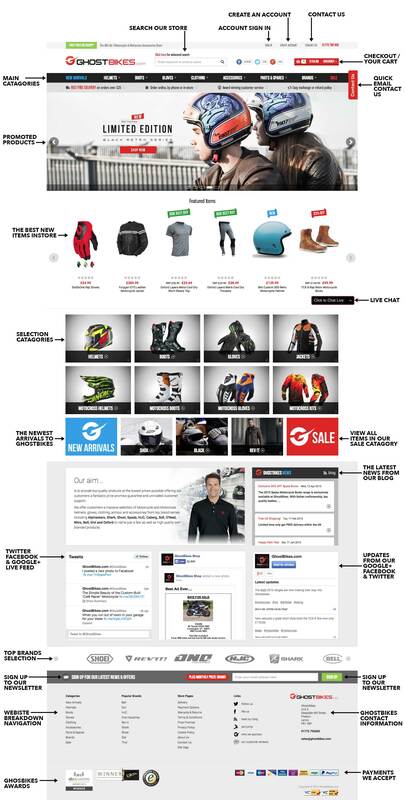 At the top right of the page you can access your basket to proceed to checkout. Here you will see the total value of your basket and how many items you have in it. By hovering over the basket button you can can get a quick glance as to what is already in your basket. You can navigate through your basket by simply clicking on the arrows to go up and down. Our main navigation bar can take you to the most popular places on the site. Hovering over a category will bring down a new drop down menu. 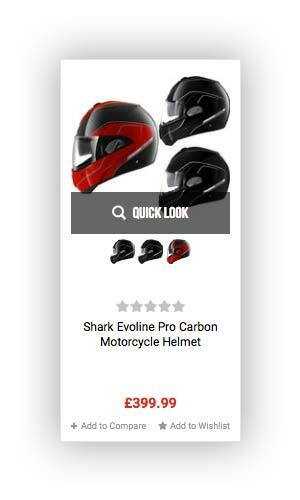 In the example below on the drop down bar you can filter into specific helmet types, colours and brands. On the bottom right you can see the in the spotlight section where we put some of our best selling products. 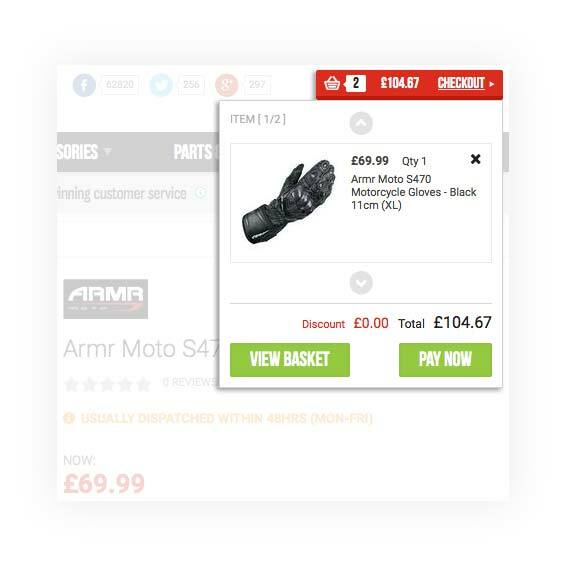 The quick view option allows you to see an item up close without having to divert away from the page that you are on, making browsing even easier. 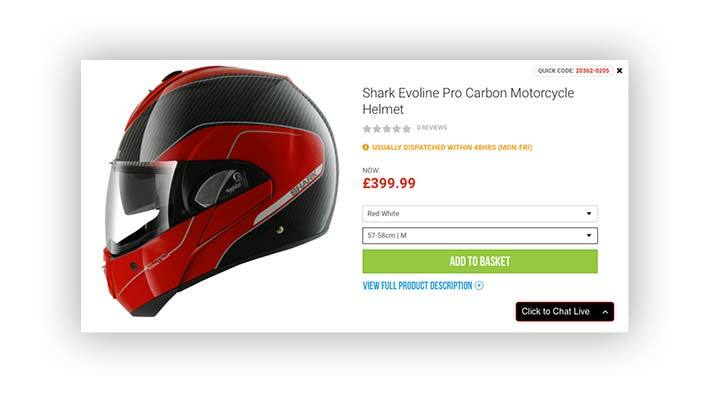 When you click on the quick look button, a pop up box will then come up displaying all the relevant product information. You can add items to your basket from this pop up without having to leave the page that you are on. Making searching for what you are looking for even easier. 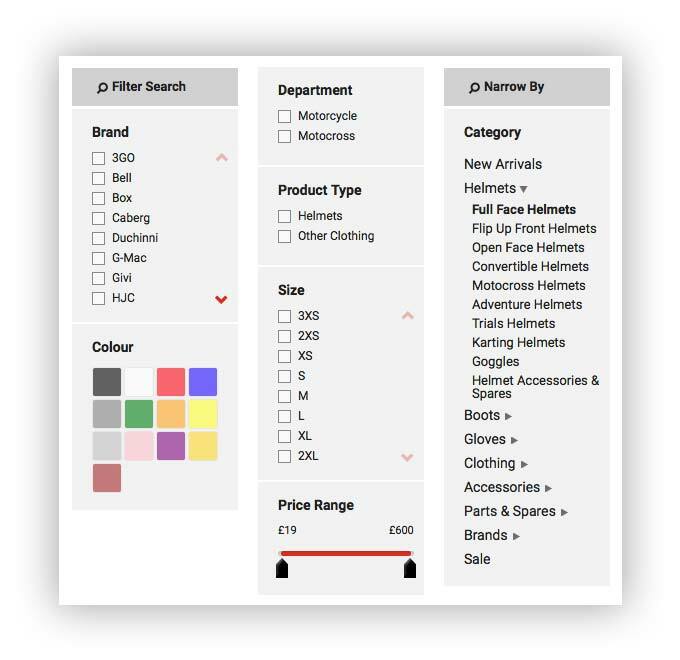 Filter by brand, style, colour and size, meaning you no longer have to scroll through hundreds of pages to find the items that you are looking for.